The revival of Third Reich style hatred towards Polish people is in full boom in Germany today. Anti-Polish sentiments are regularly presented in the German mainstream media. Pro-German groups in Poland regularly conduct brutal provocations against the Polish people, and so-called “European Solidarity” cultural and educational institutions diligently develop anti-Polish historical narratives, blaming Poles for WWII crimes committed by Germans. 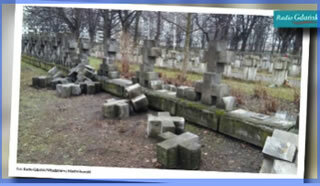 For example, in 2018 unknown perpetrators devastated the cemetery of the Victims of German Nazism in Gdańsk Zaspa district. Thirty-four concrete crosses were removed from the wall surrounding this necropolis, many destroyed. An employee of the Gdańsk Board of Roads and Greenery was the first to discover that someone destroyed the cemetery fence at Chrobry street. It turned out that the perpetrators also damaged the crosses. - The case is dealt with by police officers who seek to establish and detain the perpetrators - said Emil Marchewka from the Gdansk police on Radio Gdańsk. This was yet another incident in a series of such attacks. Similar incidents took place in this cemetery in just past weeks. In 2017, a wooden cross was burnt in the central part of the cemetery. The cemetery of the victims of German Nazism is a symbolic monument to the victims of the German Stutthof concentration camp from the time of World War II. It is also dedicated to the heroic Polish defenders of the Polish Post in the city of Gdansk, who were killed by Germans in defending Gdansk against German invasion of Poland in September 1939. The resurgent German anti-Polonism is on display on a regular basis also in Germany. - Last year, several Poles carried banners with the words "German Death Camps. Not Polish. Remember!" A few men had armbands with the symbol of NSZ (National Armed Forces). It is an anti-Semitic right-wing underground organization in Poland, which during the Second World War fought partly on the side of the Germans - said the museum's director of the former German concentration camp Ravensbrück. In Poland, however, opinions on this subject are not unequivocal - she put a caveat to her false story. The NSZ was not anti-Semitic and did not collaborate with the Third Reich. To the contrary, this formation was the fierce enemy of the Third Reich. It is also important to remember that that 132 thousand women and children were imprisoned in KL Ravensbrück, of whom about 92,000 were murdered in the most vicious way. The number of Polish women is estimated at around 40,000, of which only 8,000 survived. Thus, Polish women constituted over 1/3 of all victims. Among them were many members and affiliates of the NSZ - National Armed Forces, a formation leading a determined fight against the German invader of Poland. In this context, the statement of the head of the Ravensbruck Museum should be regarded as disgusting slandering of the memory of the Polish victims of Ravensbruck Concentration Camp. "Some of the participants of this ceremony were outraged and complained that fascists were running around the camp," said the museum head in Ravensbrück, adding that representatives of the Polish embassy explained that women belonging to this NSZ formation were also imprisoned in the camp. - This is an interesting problem: can you agree to let visitors with symbols of anti-Semitic groups commemorate their dead in Ravensbrück? Eschebach said. - Some Polish participants behaved loudly during the anniversary celebrations. They brought with them a megaphone that drowned everything, there were many Polish flags," Eschebach complained. A Polish citizen who lives in Germany wrote to the Polish press regarding his concern about anti-Polish propaganda oozing from German mass media. 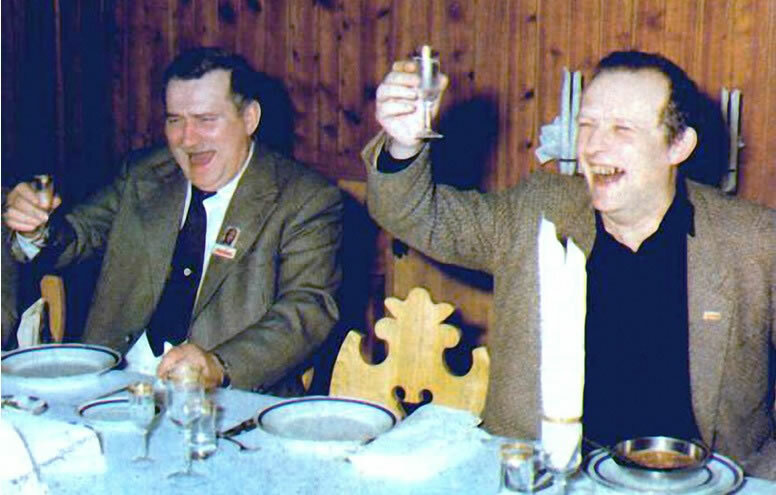 His reaction this time was caused by the film Das Geheimarchiv im Warschauer Ghetto, in which Poles were portrayed as anti-Semites and almost accomplices to the Holocaust. The author of the e-mail quotes several anti-Polish statement from this movie that directly contradict the historic truth. It is clear that by inserting the Polish anti-semitism to the Warsaw ghetto movie Germans are determined to transfer their guilt for the Holocaust of the Jews to their Polish victims. Clearly, Germany is determined to transfer their guilt to their Polish victims. In this devilish plan, Germany is supported by the worldwide Jewish community who demands exuberant amount of money from Poland for alleged co-responsibility for the Holocaust. In this immoral scheme, they enlisted the United States as enforcer of Jewish claims against Poland through the so-called "Just Act" adopted by the US Congress in 2018.